Alaba holds Austria’s record as the youngest player to play for their senior national team, debuting for them in 2009 as a 17-year-old. He started out in Bayern’s youth system, playing for the under 17 and under 19 teams, before being promoted to the reserve team for the 2009–10 season. He was named in Bayern Munich’s squad for the 2009–10 UEFA Champions League, where he was assigned the shirt number 27. In January 2011, Alaba joined TSG 1899 Hoffenheim on loan until the end of the 2010–11 season. Alaba returned to Bayern at the start of the 2011–12 season, where he became a regular member of the first team squad. On 2 December 2013, Alaba signed a new contract with Bayern Munich, which expires in 2018. 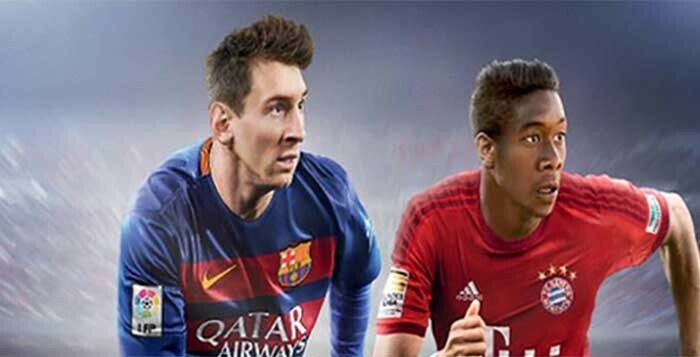 In January 2015, Alaba has been voted as left-back into the UEFA.com Team of the Year 2014 by users (354.067 votes) for the second time in a row, after 2013. Alaba played for Austria at under-17, under-19 and under-21 level. In October 2009, he was called up to the senior Austria national team for a match against France. He made his debut in this game, making him the youngest player in the history of the Austrian national team (For more information on young players). At the age of just 19, Alaba won the prestigious vote for Austrian Footballer of the Year in 2011. In the poll organised by APA (Austrian press agency) among the coaches of the ten Austrian Bundesliga clubs, Alaba finished top on 21 points, just ahead of Austria Wien’s Dutch star Nacer Barazite (20 points) and VfB Stuttgart’s Martin Harnik. In December 2012, he received the award for the second consecutive year. The 23 year-old will grace the cover wearing his Bayern’s team kit and will share the spotlight with global cover athlete, Lionel Messi.